Mobile homes can be financed just like other types of homes. While some lenders treat manufactured home purchases like personal property loans when determining terms and interest rates, there are many lenders that specialize in mobile home loans. It is important to note that many contracts for manufactured home sales include land, but some lenders who offer mobile home loans won’t finance the land itself. Getting a loan to finance a mobile home purchase is easy if you know the right places to look. 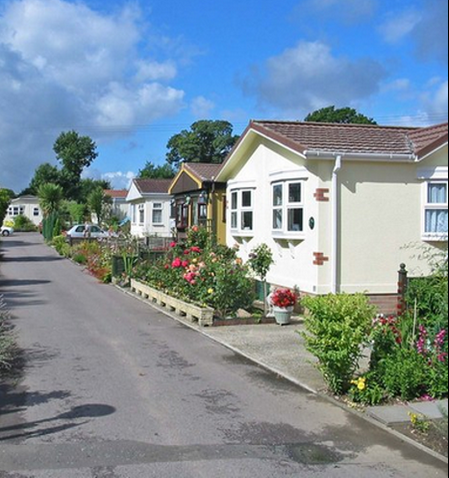 Here is a look at some of the biggest lenders who offer financing for mobile homes. Based in Medford, Oregon, MH Loans Corporation specializes in financing mobile home loans. With fixed rates that guarantee predictable payments, these loans are not treated like personal property loans: they’re home loans. They only ask lenders to pay 5% down on their total purchases. They have a principal reduction program that makes it possible to pay mobile home loans off faster. Refinancing is also an option through this company. MH Loans has helped thousands of individuals finance or refinance these types of home loans. Its “Customer for Life” program eliminates future loan fees after making your initial finance or refinance with the company. There are also no application fees and no prepayment penalties for paying off the loan early. Borrowers are welcome to pay their loan off early, refinance using other lenders, or to refinance. 21st Mortgage Company offers loans for mobiles homes with no age restrictions in most states. A down payment of 5% makes them a competitive lender. Escrow is required for taxes and insurance, and terms range from 60 months to 23 years. No mortgage insurance is required on these loans. Fixed interest rates start at 6.99%. Lots of different payment options makes this a competitive lender. The company will not finance homes that have been foreclosed on or that have been repossessed by other lenders. It will finance both single and multi-section manufactured homes, regardless of location. JCF Lending Group provides loans for purchasing or refinancing mobile homes. The company has been in business for over forty years. This lender does require good to excellent credit. Getting a cosigner is not an option with JCF. They specialize in “chattel mortgages” and do not finance land. Many of their clients live on leased land. A chattel mortgage is one in which only the home itself is financed. The company will provide loans for mobile homes purchased new from dealers as long as they are set up and in livable condition. The company requires as little as 5% for down payments, and has over 30 years experience in mobile home financing. FHA Mobile Home Loans are backed by the Federal Housing Authority and guarantee low fixed-interest. The FHA mortgage program allows sellers to pay a percentage of closing costs. This means owning a mobile home is possible without high upfront costs or an excessively large down payment. For people with shaky credit, these loans do require a 10% down payment. For people whose FICO score is 580 or higher, the low down payment advantage means only paying about 3.5% for a down payment. While the FHA doesn’t directly loan money, it works with other lenders to help first-time home buyers and offer increased borrowing power to people who qualify. Financing a mobile home can turn a would-be homeowner’s dream into a reality. Many lenders will provide mobile home loans to people with average credit in exchange for higher down payments and interest rates. There’s no reason to rent when owning makes it possible to provide security and stability for a family. These lenders can help get a mobile home purchase financed, or a current mobile home mortgage refinanced to free up cash or lower payments.